As most of you are aware my time is now officially up at Best Buy. After over two years at the US company (I can’t believe it is that long either) it is time to move on. A lot has been achieved over my time there, some of which I will account for below and I have met a number of very good people. Above all I joined Best Buy for two reasons. One reason was to launch a brand from scratch, something most marketing professionals in th UK have yet to do, and fewer digital marketers have had that responsibility. Secondly was because of the great people-based culture Best Buy had. The second part of that has changed during my time in lovely North Acton and I suppose it had to change to a degree as the organisation comes to terms from being a start-up to becoming a dominant player in the UK CE space, something they should be well-equipped to become. I may have been lucky in joining a brand that embraces Social Media more than some, at a time when social media was going from infancy to adolescence. But, I feel this was one of our main success stories – recognised by being voted number 5 in the UK’s Top 100 Social Brands. 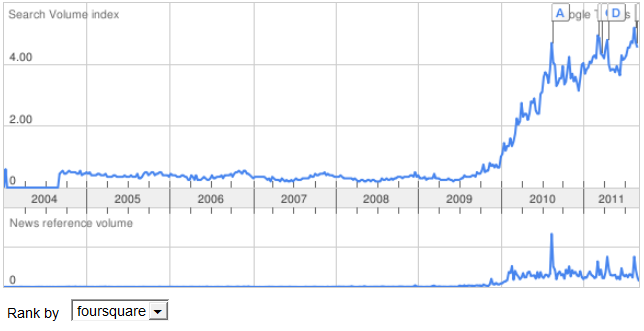 We did more than just build buzz around driving Facebook page numbers or Twitter followers. We tracked behaviour and listened to conversations and reacted accordingly. In addition we created content calendars to drive Social Media currency and providing worthwhile content for people to visit and engage with us on our platforms. This included attending Trade and Consumer shows in addition to covering Entertainment events. One of my brainchilds TechXpert did very well and given the right backing by the business will help differentiate Best Buy in both Social Media and through site usability. Watch out for others on the horizon that have already been developed including TwelpForce and IdeaX. Although not launched officially as yet, the work already put in means Best Buy is well-placed in terms of apps and m-Commerce. The site in my opinion is the cleanest and most customer-centric of all core-CE competitors. It was built using a combination of best-practice and usability studies with our customers. We also used Exit Surveys post-launch to see where we could change further. We were the first retailer in the UK to launch a Facebook store-front, allowing users to access the entire catalogue within Facebook, share or like with friends and go off and buy. Other work in this area has been done, but it would be unfair to reveal what that is. We produced a great viral to link Best Buy and our people with the World Cup. That despite no link with the World Cup and no online presence. The video which also featured a competition element, pitted two of our brilliant blueshirts from Merry Hill setting up the ultimate mancave featuring great tech but also a kebab oven, slush puppy machine and man nappies. The video got c. 250k views and loads of comments within just two weeks. There was a lot covered in the two years and it was a great learning experience, not only for me but for all involved. There is a lot more that we managed to do that is not in here, but I didn’t want to bore you all too much. I joined Best Buy for a challenge and it certainly delivered in that respect. It was a great time with its fair share of ups and downs but overall good. I couldn’t write this post without acknowledging perhaps one of the best leaders I have ever worked with. Now I don’t normally go for the cheesy American stuff or Raa Raa as most of you know. But one of our original leaders at Best Buy was absolutely inspirational. He believed in what we were doing and was absolutely passionate about Best Buy. He treated every employee as a member of his family an he genuinely had the best interests of everybody at heart. Paul Antoniadis sadly left Best Buy and in my humble opinion I still don’t think they have replaced his passion or enthusiasm. I know Paul is off doing his own thing now and doing very well for himself (I imagine with much shorter days as well). There were many other people within Best Buy who were good and helped make it a great place and they know who they are. Now I move on to new things, which will be revealed very shortly. Needless to say everything I have learned over the past two years will be utilised and built upon. So watch my LinkedIn profile to see what’s next. Categories: General | Tags: affiliates, Best Buy, brand, inspiration, leaving, listening, mobile, paul antoniadis, richard clark, Social, viral | Permalink. So in the first of the case studies to illustrate my 5 F’s theory, comes Walkers and “Do us a flavour”. Walkers has always enjoyed a special closeness with the British public. A relationship that has brought them huge commercial success and an almost dominant position in the crisp market. Unlike most dominant players in their sector, there seems relatively little animosity towards Walkers. Part of this has been down to product development but this significant position has also been achieved through great marketing. 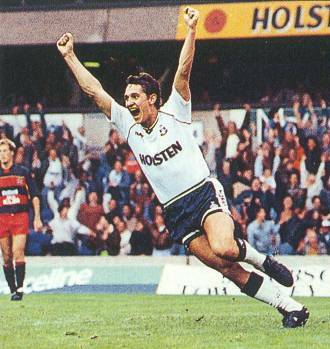 Picking up on the status of national hero Gary Lineker was a masterstroke, and it is a relationship that still lives on today. Walkers are responsible for creating some magic moments with some of the in- demand public profiles. The classic example of this was when Walkers created a football execution involving Gary Lineker and a tearful Gazza (Paul Gascoigne). Other celebrities such as Charlotte Church and more recently Cat Deeley have appeared. Rather than develop the same theme and just extend it, Walkers created a real point of difference. In 2008, Walkers “Do us a flavour” campaign moved their advertising on by taking participation to a whole new level. Capturing the mass love of social media and User-Generated-Content (UGC), Walkers created a campaign that involved the public and created a genuine national debate. The beauty of the campaign was that it didn’t live in one space or develop through one-channel it almost became part of the British way of life. The campaign obviously lived online. However it also crossed TV ads, in-store, outdoor, radio, mobile and even IVR (Interactive Voice Response). The fact that the public suggested over 1.2m flavours (that equates to 2% of the UK population submitting a flavour) and over 1m votes on the final shortlis t, proves what a storm the campaign created. The campaign essentially became the first large-scale initiative to put the British public in control. The election process was clear and straightforward. Crowd sourcing at its best. In hindsight this was a masterstroke as the campaign was also live when realtiy TV was at its peak. All shows that centre on the population (viewers) being in control. 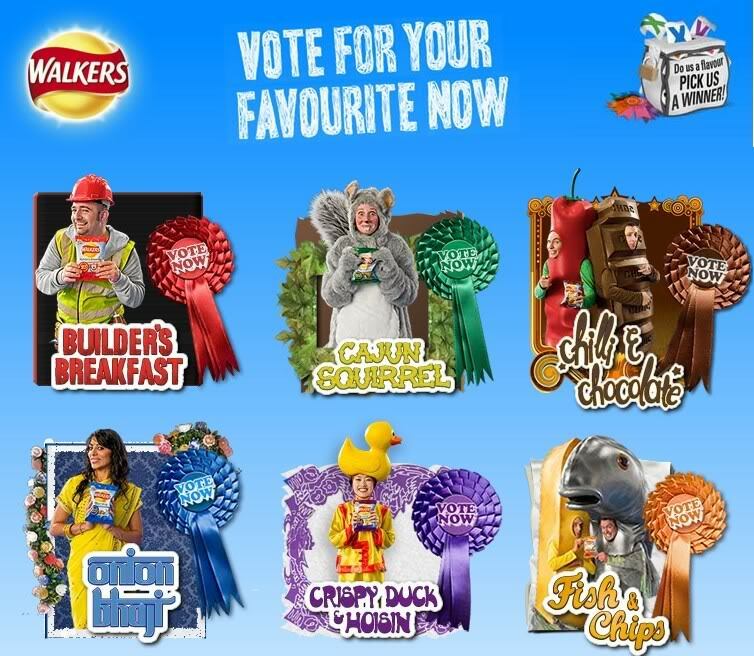 On top of all these factors, Walkers didn’t throw away the heritage and familiarity of its previous campaigns, Gary Lineker remained a focal point of the campaign. So why did it work? Well, partly down to the fact that Walkers spent a hell of a lot of cash on the campaign. However, you could argue that this was no more than they would have spent on a standard campaign. So Fortune was a factor in terms of spend. For me the F’s that really made the difference were Fame. The chance that “normal” people could get a massive amount of coverage regardless of whether they won. Their creations, designs or concepts would reach hundreds of thousands of people, very few opportunities like that exist, unless you have an immense Talent (then maybe you could get on X-Factor). The second success factor was Fortune (not the campaign spend). The winner secured a huge £50,000 prize. If that wasn’t enough, they also got 1% share of the revenue for all future sales, in theory, thats the pension sorted. In my view the combination of social media nuances, putting the people in control and a massive fortune to the winner was a sure fire hit. Yes the campaign spend did help. 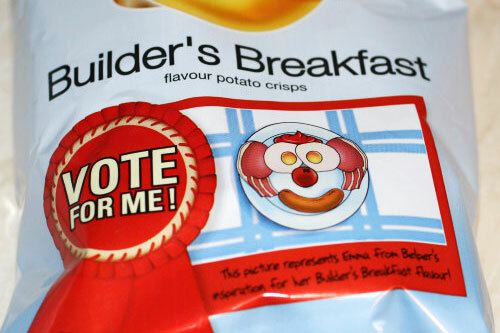 I suppose after waxing lyrical about the campaign it is only fair to reference the winning flavour – its was of course – Builder’s Breakfast. Categories: ATL, General, Social, viral | Tags: 2008, 5 F's, ads, beauty, british, campaign, cash, cat deeley, channel, charlotte church, cheryl cole, concept, crisps, dannii minogue, debate, design, do us a flavour, dominant players, fame, flavour, fortune, gary lineker, gazza, in-store, interactive voice response, IVR, marketing, mobile, national, national debate, national hero, online, outdoor, paul gascoigne, product development, public, public profile, radio, reality tv, relationship, shortlist, social media, tv, ugc, user generated content, viewers, Walkers, x factor | Permalink.